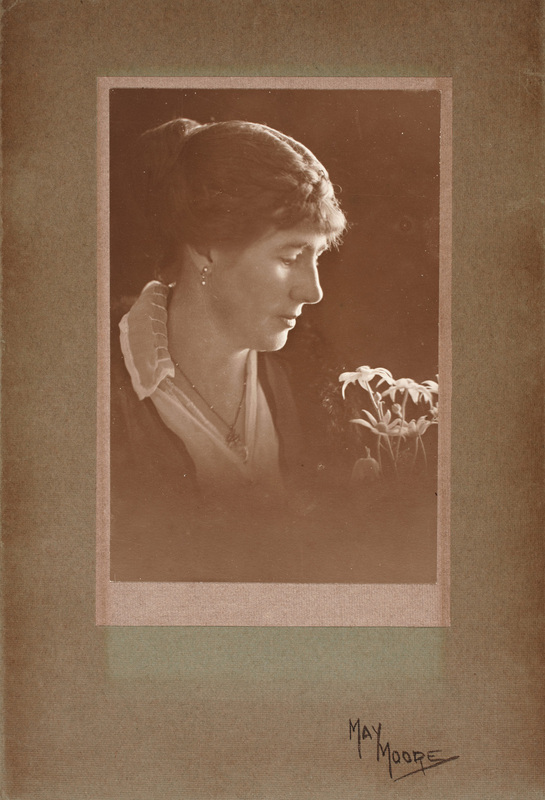 Studio portrait of Nina Terry taken by May Moore, around 1920. Rouse Hill House and Farm Collection, Sydney Living Museums. She was born in January 1875 at Lara, the Darlinghurst home of her Buchanan grandparents, but grew up in the rural surrounds of Rouse Hill House where she shared her childhood with her sister Kathleen. She grew into a vivacious young women, with a talent for horse-riding and for music and in 1895 married her charming, improvident, second cousin George Terry from the nearby property Box Hill, returning to Rouse Hill House with George and their sons after the death of Nina’s mother’s Bessie in 1924. Today’s visitors to Rouse Hill House are the beneficiaries of Nina’s custodianship, providing us with a rare example of an intact late 19th century interior, reflecting the lifestyle of a genteel middle class Australian family – with all its ups and downs. 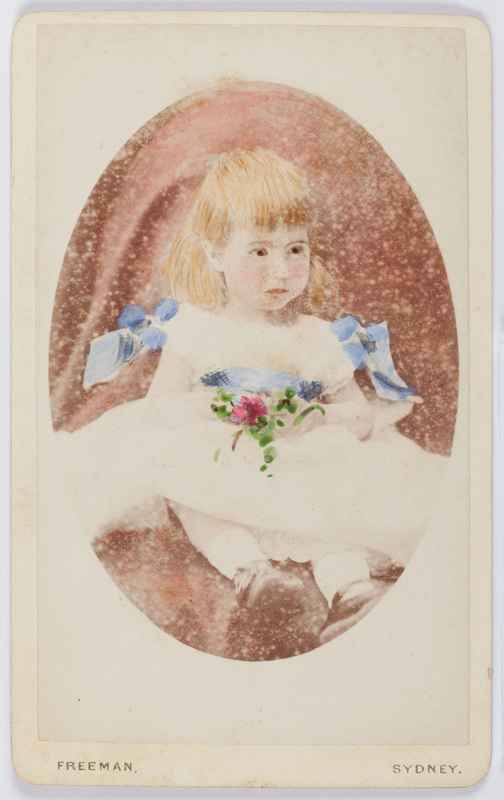 Carte de visite portrait photograph of Nina Terry as a child, around 1876. Rouse Hill House and Farm Collection, Sydney Living Museums. 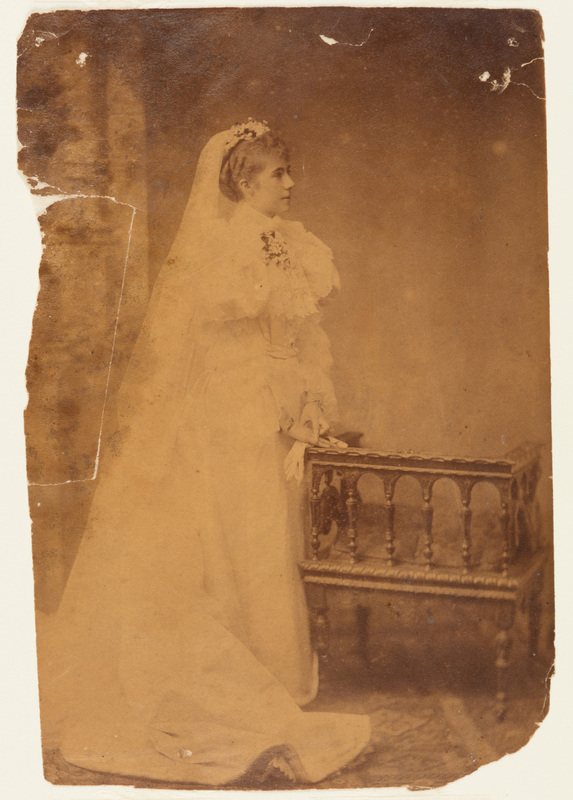 Wedding photograph of Nina Beatrice Terry (nee Rouse). She married her second cousin, George Alan Terry (1871-1957) at Christ Church, Rouse Hill, on April 24th 1895. Rouse Hill House and Farm collection, Sydney Living Museums..
"A Group after the Hunt Rouse Hill 18th July 1895". Nina Terry is seated in the centre of the middle row next to her mother, Bessie Rouse, who is turned towards her. The poet A.B. 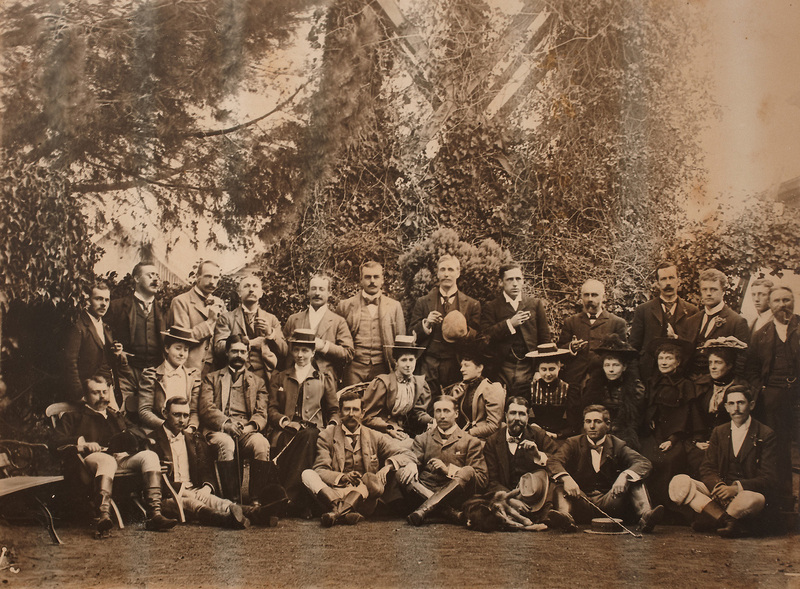 'Banjo' Paterson (standing 6th from the right in the back row) was also among those who followed the hounds. 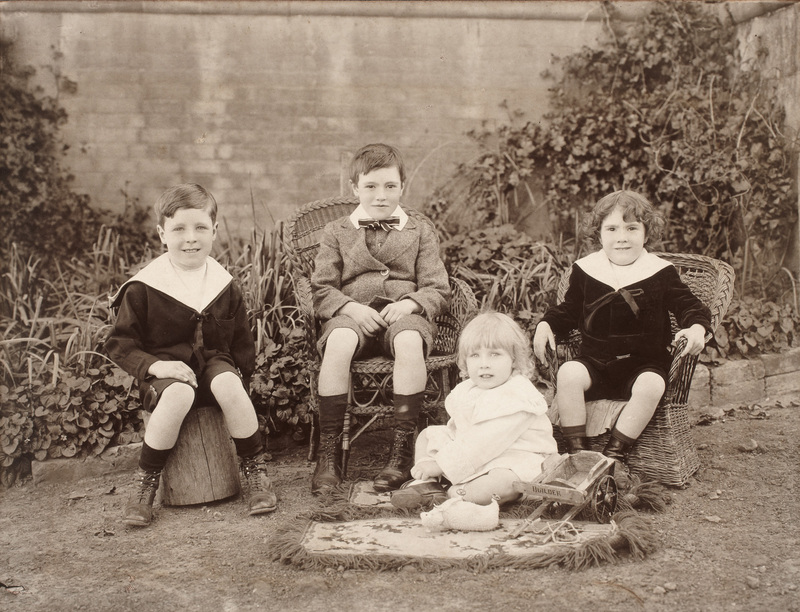 Four of the five sons of George and Nina Terry, photographed at Box Hill House in about 1907. Left to right: Roderick Buchanan Rouse Terry (1899-1980), Geoffrey Rouse Terry (1896-1970), Gerald George Terry (b. 1904) and Edwin Terence Terry (b. 1902). Noel Terry, the youngest of the five brothers, was born in 1908. Members of the Kellyville-Rouse Hill Red Cross branch, c1917/1918. 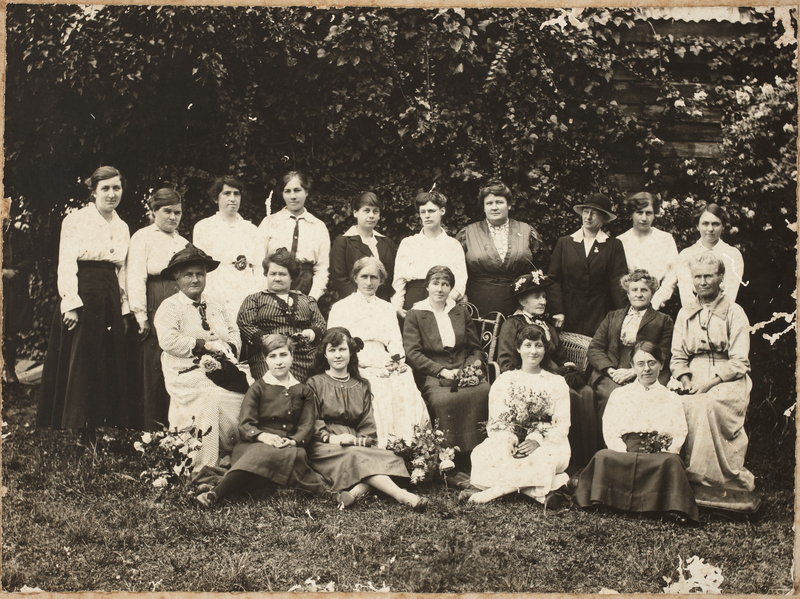 Nina Terry is sitting to the right of her mother, Bessie Rouse, in the middle row, showing her best profile and wearing a hat embellished with sprays of wattle. Raised in a family of collectors with a fascination for objects and stories, Rebecca Jones was destined to work with museum collections.